Ikebana (pronounced as i-ke-ba-na) is a Japanese word いけばな　which is also　生花 – means “arranging flowers”. It is the Japanese art of flower arrangement that is sometimes also known as 華道. Like many other eastern art, it has a very long history, approx. 500 and masters today are highly respected in the community for their continuous efforts in creating new art forms and passing on the old traditions. Like painting and calligraphy, floral arrangements are being display in art galleries and public spaces throughout Japan and such events are publicised with posters around the cities if they are hosted by famous ikebana masters! For a few times in the year, demonstrations are held across the countries in theaters which masters/ artists will make the arrangements on the stage in front of the audience. Again these are big events, which can be compared to going to the opera/ musical. To add another dimension to these demonstrations, the masters often invite musicians to play accompanying music. 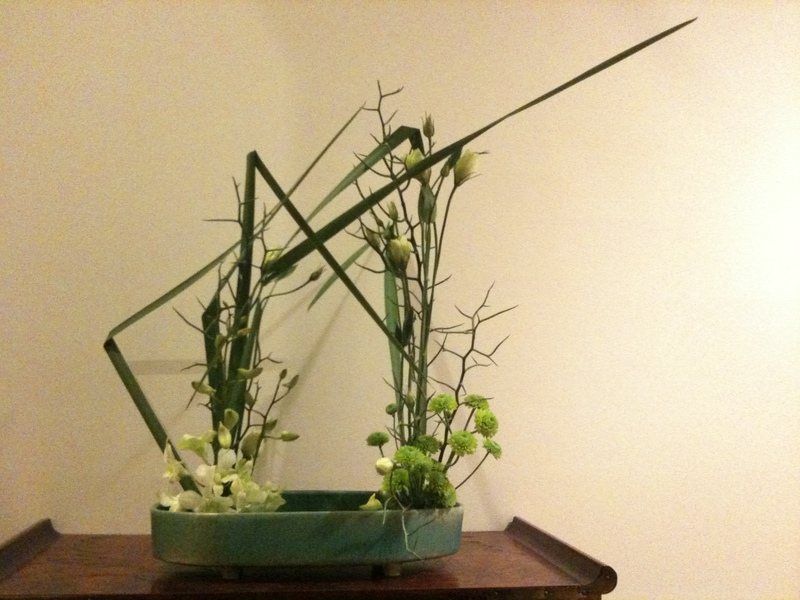 So what are some of the characteristics of Ikebana? a) Always asymmetrical (99.9999%) – i.e. not symmetrical. While like all art, ikebana has a particular emphasis in shapes, forms and lines, they are in general seen as being asymmetrical. This, very often has created an “unbalanced” feel which the West is not accustomed to. In the West, we like to design things in a symmetrical form, making things balanced in a 50/50 proportion. However, in ikebana, the proportion is usually 30/70. This has more evidence especially in the traditional styles. b) Less is more – Believe it or not, but in the Sogetsu (one of Ikebana school in Japan) textbooks, we start with 2 main branches and 1 main flower!! The basic form is sometimes only formed by 2 main branches!! c) The empty space is part of the Art – It is a bit hard to grasp for those of you who does not study art. But many times, the space around the art work is the major part of the work…. oh dear, am I making sense here? Of course, if I have to go on, I will be writing a master paper here- which is NOT my intention. Many have done that already and have done a better job than me! 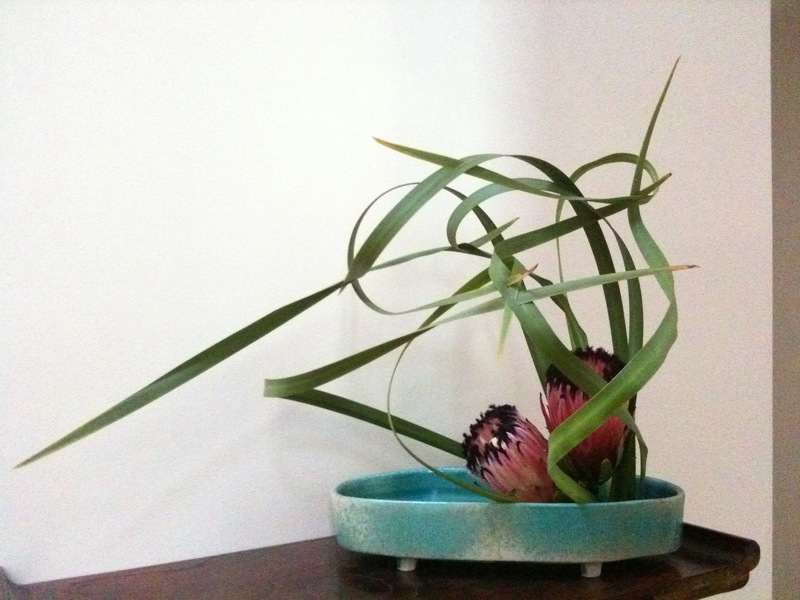 Click here for the history of the Ikebana. I hope that this introduction about ikebana will help you to understand the background of the works by the masters I have linked on the Other Ikebana Artist Page.